As a resource teacher, Jane Walls is tasked with coordinating the education of fourth and fifth-grade students with a variety of disabilities. Some are intellectually disabled. Other kids may be classified as having emotional disturbances. But Walls often finds herself handling more kids diagnosed with autism spectrum disorder than any other disability at Cooper Elementary in Spring ISD, something her family also struggled with when raising her younger brother. Walls confided in a couple colleagues, who also handle children with disabilities, during their regular lunch break. After 11 years in special education, Walls wanted to start a school dedicated to autistic kids. 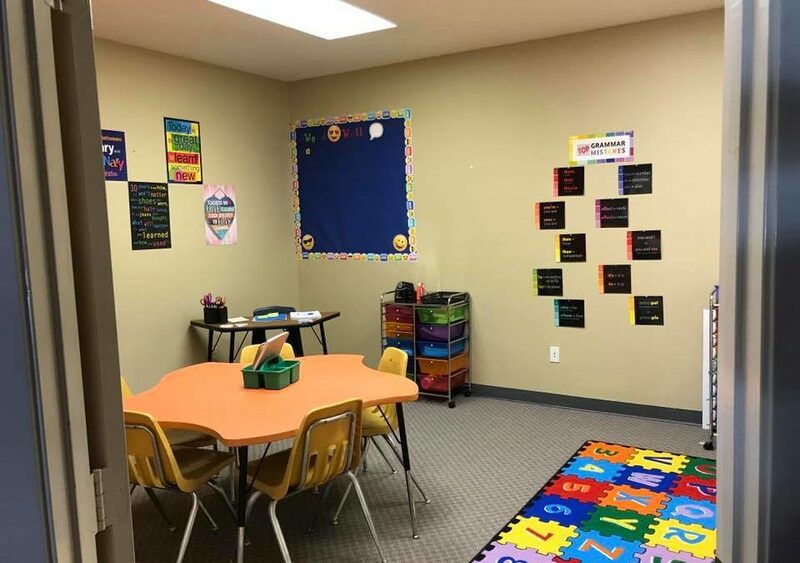 So Walls, fellow resource teacher Shelinta Perez and Response To Intervention Coordinator Cary Mollinedo banded together and founded the school of their dreams, ASD Hope Inc., in The Woodlands. ASD Hope – the acronym standing for autism spectrum disorder – is still in its infancy. The trio is looking for a location that would be flexible to each child’s individual needs while also fulfilling security requirements. Former daycare centers or modular, portable spaces are possibilities. More importantly, they need funding to make ASD Hope come true. Fundraising efforts are underway to get the school off the ground with a goal of at least $1 million. For now, their dream school remains in an envelope printed with an IRS tax number. “We have the know-how; it’s just about getting the funding,” Walls, the president of ASD Hope, said. The prevalence of autism spectrum disorder diagnoses has shot up since the turn of the century. In 2000, one in 150 children were reported. Today, one in 68 children fall under the umbrella of autism spectrum disorder, according to the Centers for Disease Control. Though Mollinedo has been an educator for about 15 years, she’s serving her first year as an RTI coordinator at Cooper Elementary, where she tracks about 50 students who are struggling and may need more support due to a disability like autism. “I’m seeing a lot of it, and it’s my first year overseeing RTI. It was eye-opening,” Mollinedo, the vice-president of ASD Hope, said of the prevalence of autism in schools. Just like the name indicates, the autism spectrum is broad with many variations and permutations. Some common early signs of autism include delayed language development and failure to make or maintain eye contact. As children grow older, they may not pick up on social cues, seem unresponsive, engage in repetitive behaviors or may have sensory challenges. Other children may be on the “high-functioning” end of the autism spectrum. Though there isn’t a consensus as to what that exactly means, but a child with mild symptoms and has age-appropriate language or learning skills might be deemed high functioning. Public education does provide some support for autistic children; Walls and her colleagues are evidence of that. But many educators and parents feel there is room for improvement. In the classroom, autistic kids may not be motivated to please the teacher or authority figure in the class and may need constant behavioral reinforcement to shape their behavior, especially if it disrupts the learning process. Not all teachers know how to handle and teach children with special needs, who may need much more one-on-one attention. “A typical kid wants the teacher to like them. A child with autism doesn’t have that,” Sloan said. Even with resource teachers like Walls and Perez, who pull students from their regular classrooms for a small group or individual teaching to reinforce academic and skill goals, public education may not have all the tools for every autistic child. To top that off, autistic kids who suffer from communication and other developmental disorders may need speech and occupational therapy. That can take away from time in school, making it more difficult to get ahead academically. That’s where ASD Hope comes in. ASD Hope would be the first of its kind in The Woodlands. The education nonprofit hopes to be both a full-time school and day clinic for autistic kids based on a research-driven intervention called applied behavioral analysis, or ABA for short. There isn’t a single program that defines ABA. There are different programs or “interventions” that fall under ABA, but at its core, it’s about tapping into what motivates each child and reinforcing desired behaviors to shape learning and skill development. “No matter how fabulous a teacher may be, they don’t have the research, scientific-based training that is proven to work for most children with autism. They don’t have this training. So they’re kind of flying by the seat of their pants, trying to figure out,” Mollinedo said. ASD Hope would create an academic environment catered to ABA learning while also bringing in therapists to support children who may need occupational and speech therapy. The school hopes to open in The Woodlands in time for the 2017-18 school year, starting with Pre-K through second grade and then expanding as funding and demand permits. ASD Hope isn’t the only alternative school for autism in the greater Houston area, but they are few and far between. Most programs for autistic children are day clinics, solely focusing on academic preparedness as well as language, social and developmental skills. Some of these centers in The Woodlands include The Learning Lane, The Shape of Behavior, and Therapy and Beyond. Serving the academic side is a little more challenging. There are few state-certified academic programs that serve as an alternative to a public school education. A handful is accessible to residents in the greater Houston area, with only 21 programs in the state, according to the TEA’s list of contracted 2015-16 nonpublic schools for students with disabilities. The two closest TEA-approved programs for The Woodlands residents are either in Humble, Including Kids Inc., and Huntsville, which is the Bayes Achievement Center. Both of those programs serve kids until the age of 21. Along with academic and clinical support, creating a tight-knit community of families with autistic children is just as important for ASD Hope’s founders. Raising a child with autism can be isolating for parents and even for siblings. The school can provide a safe place for families to be themselves and the resources to make the best decisions. “We want parents to come together and not feel secluded,” Perez said.